This post on making a difference in the world through your own photography is brought to you by Johnson & Johnson and The Motherhood, who sent me a box of products and compensated me for my time. Opinions, experiences and photos shared here are all my own, and I hope you enjoy them. It’s that time of year… it’s finally sunny and the temperature has been in the 70s and even 80s this week. Spring has finally sprung! One of my least favorite, yet at the same time favorite things to do in the spring, is spring clean. Of course I can think of a hundred things I’d rather do on a beautiful spring day than clean, trust me. I however, love the feeling a seriously clean home gives me. And spring cleaning is about as thorough of a cleaning as my house ever gets. It’s the time I not only deep-clean, but de-clutter and get organized. Speaking of de-cluttering, I’m always surprised at the products I have in my medicine cabinets that have expired. 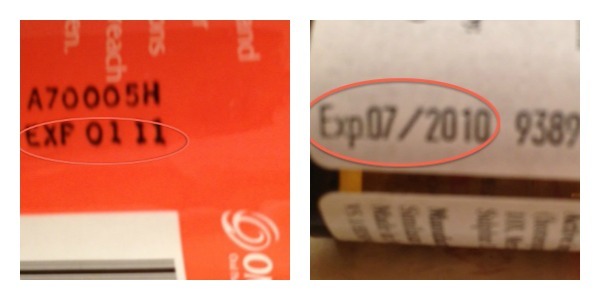 I also realized that I haven’t cleaned out my medicine cabinet in awhile, as you can see from the expiration dates below. Sigh. One of the things I love about Johnson & Johnson’s Healthy Essentials program is that it reminded me to stock up on all the “healthy essentials”. Lucky for me (and you), this past Sunday, April 7th, Healthy Essentials coupon books were available in newspapers across the country. You can also get the coupons online at http://www.healthyessentials.com/. There’s over $50 in savings on products that families trust and use every single day. If you’re a parent like me, you can’t have enough first aid products. Johnson & Johnson has also introduced a new app, Donate a Photo app, that allows you to give back by doing something that most of us do on a daily basis — taking pictures. With the Donate a Photo app (for both iOS and Android platforms) you simply do as the name implies… donate a photo. Check out this video that shows you just how easy it is to ‘donate a photo’. You take a photo on your phone (or use one you’ve previously taken) each day and choose one of their non-profit partners through the app and Johnson & Johnson will donate $1 for each photo they receive. * Now how AWEsome is that? When a cause reaches it’s goal, a new one will take its place. I’ve donated to all three so far, and will continue to alternate my donated photo each day. Because they’re all three important causes. 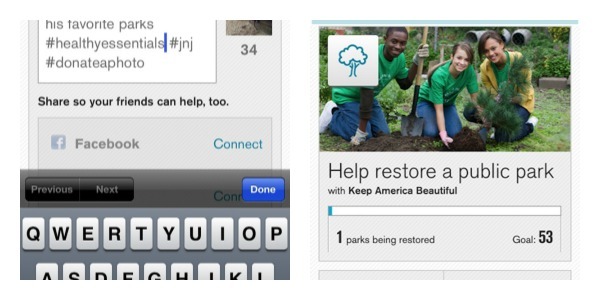 Download the Donate a Photo app and get started donating now. The donations must be made through a mobile device, but the experience can be seen on any device, from mobile phones to desktop computers. Your box may differ slightly from mine. No purchase necessary. Open to legal residents of the fifty (50) United States and District of Columbia, Eighteen (18) years of age or older. Giveaway ends midnight May 01, 2013. Prize(s) provided by Johnson & Johnson Consumer Products Company Division of Johnson & Johnson Consumer Companies, Inc. Void where prohibited. *Johnson & Johnson has curated a list of trusted causes, and you can donate a photo to one cause, once a day. Each cause will appear in the app until it reaches its goal, or the donation period ends. If the goal isn’t reached, the cause will still get a minimum donation. I use Neosporin religiously, and cannot live without it. I like all you show-ob being one. I love their baby stuff! How could we survive without Johnson & Johnson? As both a grandmother & a childcare provider I love Band-Aids! Band-Aids are my favorite J&J product. I love Johnson & Johnson! It’s hard to pick a favorite product. I love their baby line, and I don’t know what I’d do without Neosporin. Been using J&J products since I was a little girl. I used it on my kids when they were babies and now my daughter uses J&J products for my grandson. Neosporin for sure. IT saves the day very often. I like J&J’s baby powder & baby oil and all it’s great baby products. 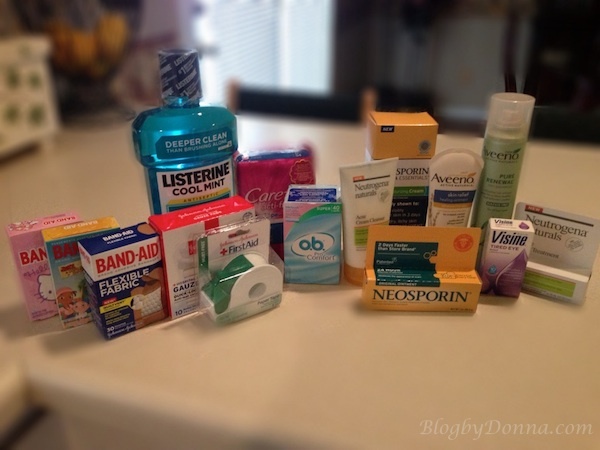 My favorite is Neosporin, its a family essential! We have always try to have plenty of band-aids around! Listerine is a must for me, close second is bandaids. Any bit helps, right folks? Love Aveeno! ids for my 17 yr. old daughter who is all in& get hurt more than her brothers. I would like the cool mist mouthwash. Acuvue contacts and Desitin. We also use a lot of tylenol. I really want to try out their Neutrogena Naturals Line. Neosporin! For sure is my fave.They used to make an pain relief wash I lived but can’t find anymore.